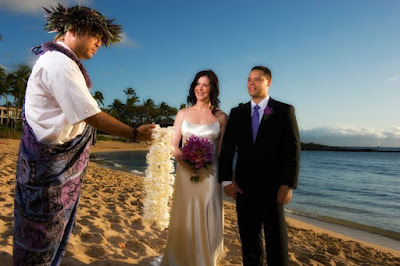 Marry Me Maui Wedding Planners has the privilege of working with couples from all around the world. Our in-house photography team, with decades of professional experience, gets the opportunity to photograph those couples in some of the most superb and pristine environments in the world. Maui's beaches are incredibly beautiful. The sand varies in color from beach to beach but the ocean is deep blue and the beaches in all the resort areas face west, for those incredible sunset portraits. Where else can you get maui'd with green sea turtles near shore and, at certain times of the year, endangered humpback whales cavorting at sea? 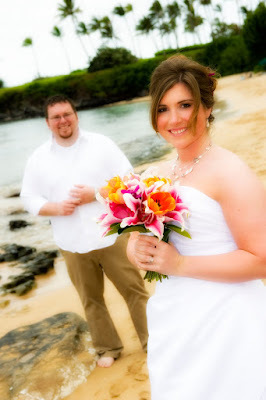 A Maui wedding at Kapalua Bay is one of our favorites. While the beach may experience the passing shower now and again, it is usually mostly sunny, breezy and lightly used. We always have a "plan B" in case of rain but that happens very infrequently. Catherine and Mark travelled all the way from the UK to get Maui'd! We were so pleased they chose our wedding planning services. 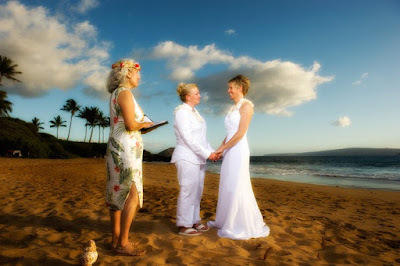 We had a beautiful afternoon ceremony at Kapalua Bay and they had a wonderful time. 27 hours in a plane is a long way to go but Maui in THE destination island on the planet. 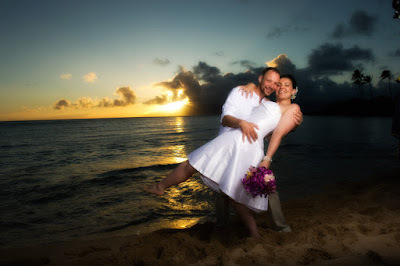 Before you get here, be sure to book Maui's premier wedding planning company; Marry Me Maui. You'll have plenty of great memories to bring home with you. What about sunset you say? Mary Kate and Dan booked us for the next evening, in a different location, to do a sunset shoot. We could also "trash the dress" if that's what you have in mind. Mahalo Mary Kate and Dan, best of luck to you in your future together.